As recitals 2-7 of SFTR acknowledge, the FSB’s reports have been instrumental in fashioning the EU’s SFTR legislation. Indeed, SFTR is the EU’s implementation of FSB recommendations (‘this Regulation follows the FSB Policy Framework’). The Commission’s Article 29(3) report benchmarks SFTR against them. Yesterday, the Financial Stability Board (FSB) delivered its Global Shadow Banking Monitor Report 2017 (The Report). The Report covered data up to end-2016 from 29 jurisdictions which together comprise 80% of Global GDP[ii]. Given that the complicated SFTR transaction reporting regime is due next year, and that SFTR is the EU’s enactment of the FSB’s shadow banking recommendations, this report must be analysed to understand the latest state of play. SFTs allow the build-up of leverage (the use of borrowed funds for the purchase of assets) beyond the realms of the EU’s highly regulated banking system. Whereas capital requirements and liquidity in the banking system are tightly regulated by Basel III (EU implementation = CRD IV ) which limits SFT leverage, interconnectedness and procyclicality, there is a risk that SFTs would migrate to the lighter-regulated shadow banking system. Simply put, while systemic risk has decreased (due to more stringent regulation of the banking sector) there is a risk that credit intermediation is shifting to lighter-regulated entities (e.g. hedgefunds) thereby shifting systemic from banks to non-banks. Securities Financing Transactions (SFTs) have embedded leverage and due to the fact that the shadow banking sector and the actual banking sector are connected (interconnectedness), a collapse of the former could bring the latter down. The EU’s SFTR transaction reporting will help the EU better understand (1.) – credit intermediation in the non-bank sector. Monitoring Universe of Non-bank Financial Intermediation (MUNFI) – This measure of all non-bank financial intermediation grew in 2016 at a slightly faster rate than in 2015 to an aggregate $160 trillion. MUNFI’s share within the global financial assets (48%) increased for the fifth consecutive year. Insurance corporations and pension funds’ (large sources of non-bank funding) assets now stand at 9% each, comprising 9% of global assets each. Other Financial Intermediaries’ assets rose by 8% to $99 trillion in 2016. During periods of stress, both direct and indirect linkages between financial sectors can become channels of risk contagion. These linkages can take a variety of forms, including direct exposures such as funding interdependence or being part of a credit intermediation chain, as well as indirect exposures such as holding similar assets as collateral. The Report is 103 pages and provides an invaluable global snapshot of the state of the non-banking sector and its interconnectedness with the banking sector. Anyone involved in SFTR must carefully analyse this report. Given that 60% of EU banks’ exposure to the non-banking sector are to non-EU domiciled entities, all signatories to the FSB need to follow the EU’s lead and implement its recommendations. SFTR transaction reporting is due to commence in 2019 and only after data is received and analysed will there exist actual (near) real time data on the functioning of the non-banking sector. It will be fascinating to compare and contrast the findings of The Report with what the real life SFTR Transaction Reporting data will show, thereby validating or otherwise the models, input parameters, assumptions, approximations and methodologies that have led to the FSB’s conclusions. We live in interesting times and ones in which EU citizens can be proud that the EU is leading the world in financial regulation thereby creating safer, more transparent markets for all. 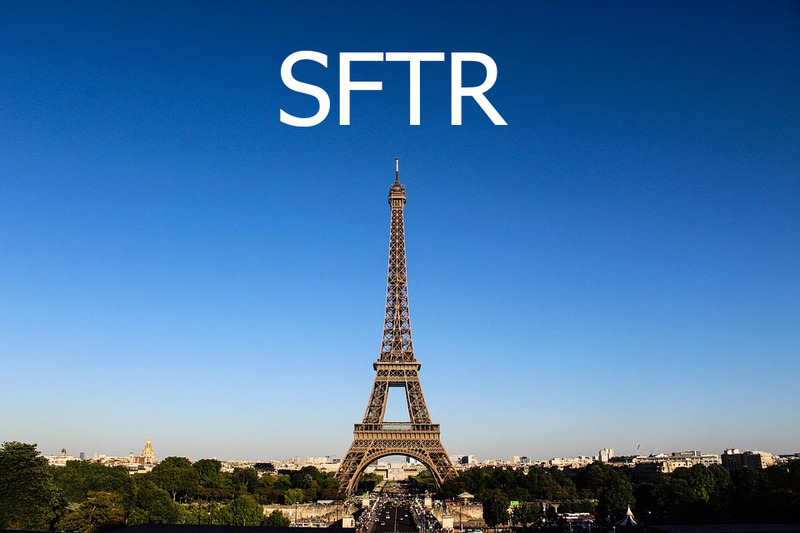 SFTR transaction reporting is a hugely complicated beast and Market FinReg is the first (and hitherto) only firm in the EU to have produced an accredited SFTR Transaction Reporting course by our Head of Financial Law – Seb Malik – who authored SFTR: A Survival Guide. To find out more, or participate in our accredited SFTR Transaction Reporting course, please visit the course page.